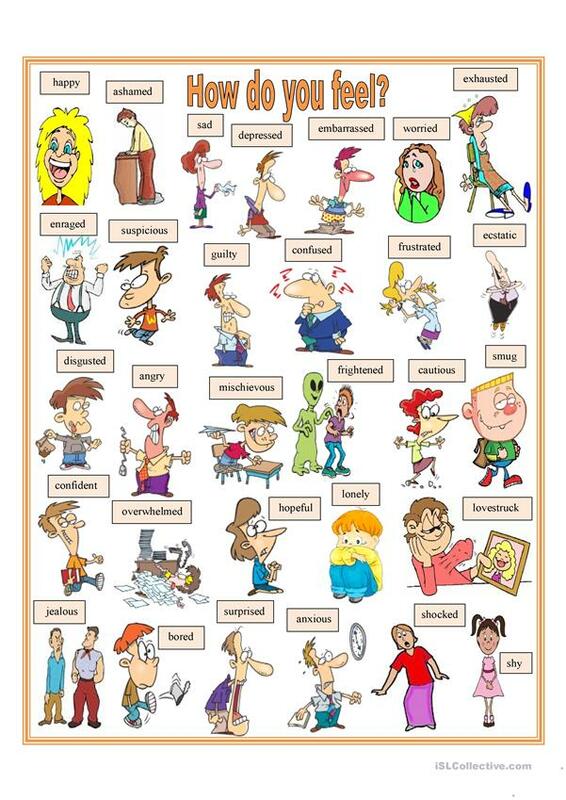 It's a picture dictionary of adjectives that English learners can use to talk about feelings, mood and emotions, e.g. overwhelmed, lovestruck, confident, jealous, bored, etc. I hope you like it! Have a nice day! The above downloadable teaching material is intended for business/professional students, high school students and elementary school students at Elementary (A1), Pre-intermediate (A2), Intermediate (B1), Upper-intermediate (B2) and Advanced (C1) level. It is aimed at revising Adjectives and Adjectives to describe feelings / mood / tone in English, and was designed for strengthening your pupils' Speaking skills. It features the vocabulary topic of Feelings, emotions. The solutions are provided, too.